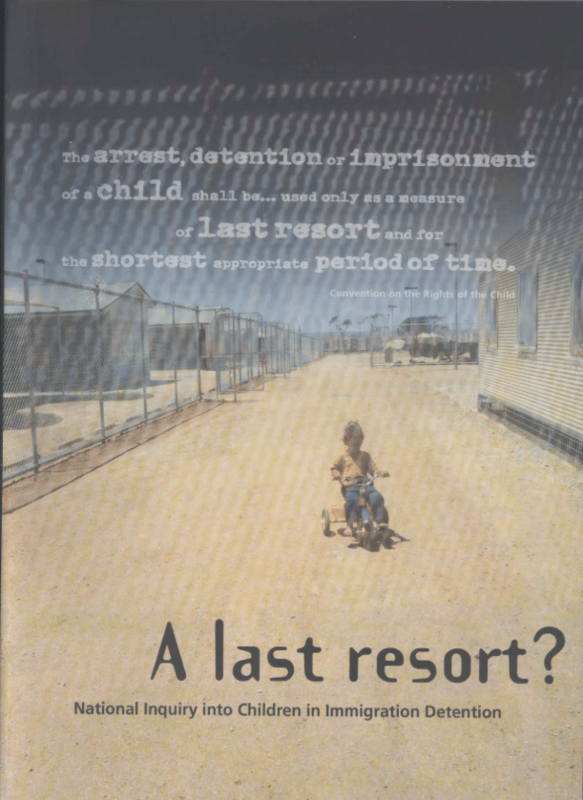 This inquiry found that Australia’s immigration detention laws were inconsistent with the CRC, and recommends that children should be released with their parents as soon as possible. The inquiry looks into the lives of children in detention, as well as Australia’s human rights obligations, current child protection mechanisms in detention, current (2002) policy and practice including visa attainment, mental/physical health of children and services for children. The enquiry confirms the need to ensure that children only be detained as a measure of last resort and for the shortest appropriate period of time.